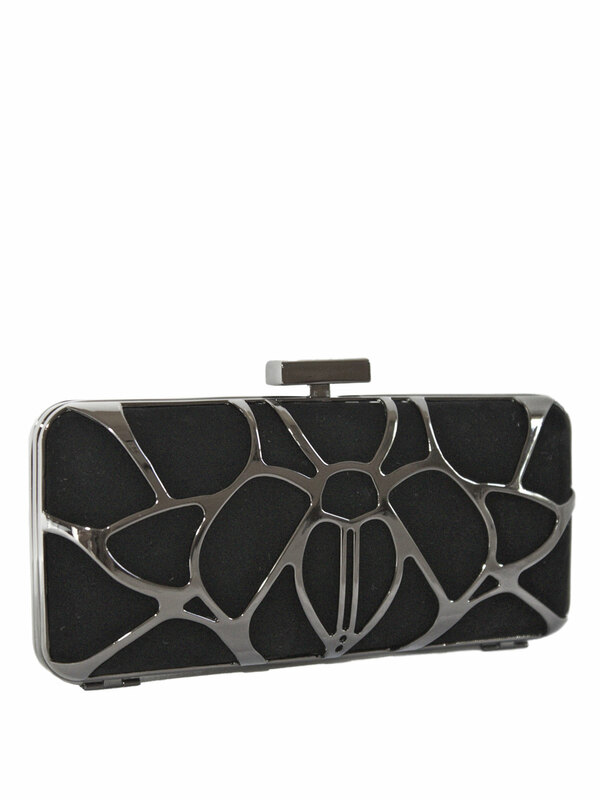 A really elegant and fine quality clutch bag purse by Dents – perfect to complement any smart outfit. 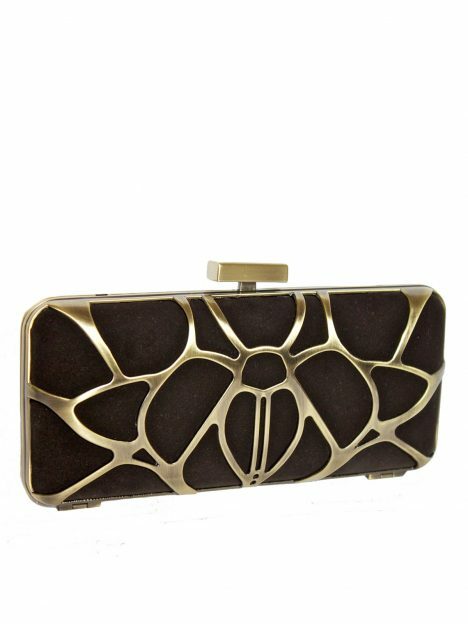 It is in rich velvet (in black or chocolate brown) which has an overlying metal web feature in either gunmetal (black bag) or gold (chocolate bag). It is robustly made and compact in size. There is a chain attached inside the bag so you can carry over the shoulder if you want. Presented with a Dents Ribboned Gift Bag. Please see our Product Description below for full details. A very elegant clutch bag purse by Dents that will make a perfect accessory to your outfit for any smart occasion. 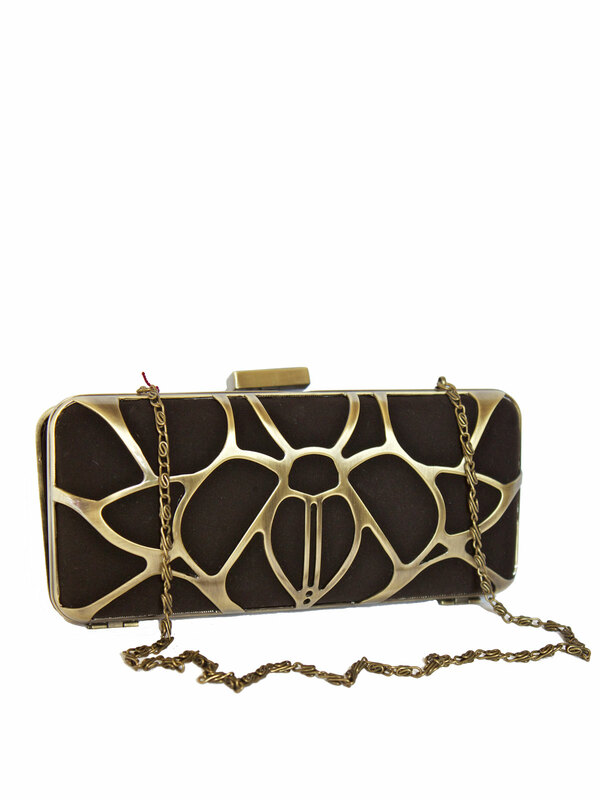 It is robustly made yet compact in size and is in richly-coloured velvet with an overlying metal web feature. 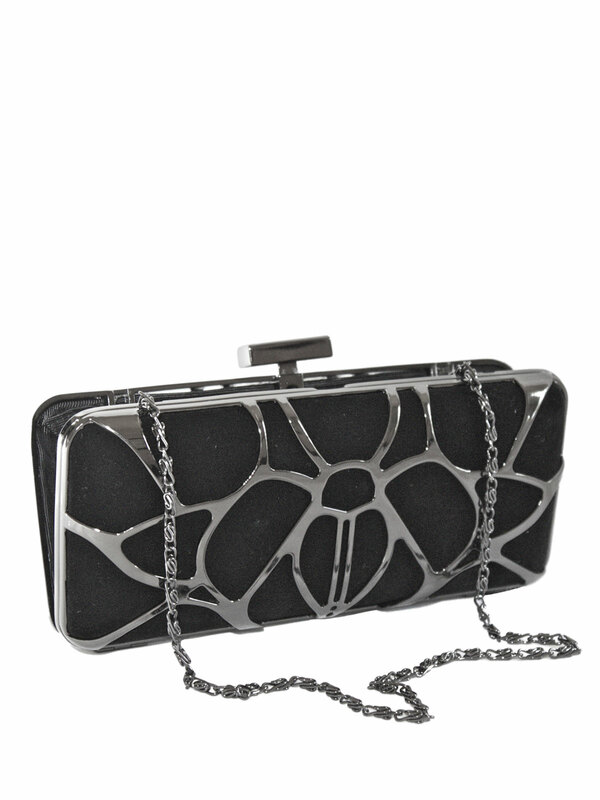 There is a chain attached inside the bag so you can carry over the shoulder if desired. Presented with Dents Ribboned Gift Bag. Available in black or chocolate brown. 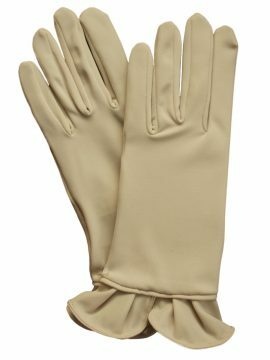 Made by Dents – famous for crafting the world’s finest gloves and accessories since 1777. 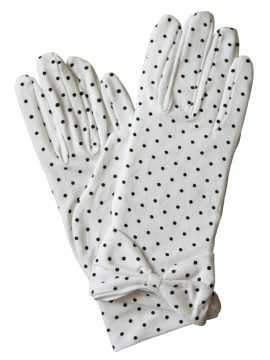 Very attractive, versatile, easy and comfortable to wear - these short polka dot dress gloves by Dents have a vintage look and so are perfect for vintage or 1950s retro outfits, as well as more modern fashion. 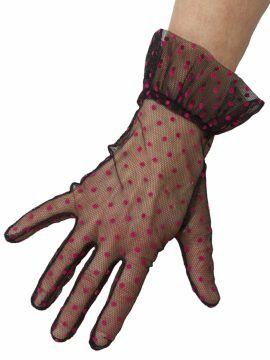 They are made in fine quality soft stretch cotton and feature bow detail worked into the cuff. 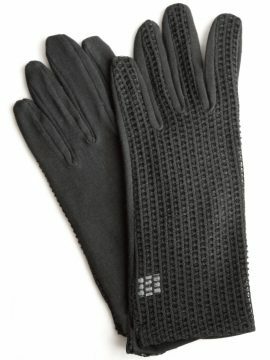 One size (to suit most standard glove sizes). Please see our Product Information below for full details and important sizing information.